Proper strength and conditioning allows athletes and teams to perform at their highest possible level. The benefits of peak conditioning and strength include better injury prevention and, if necessary, increased effectiveness of rehabilitation. An athlete following a well-designed program can prevent, or significantly reduce, muscle imbalances and strengthen necessary tendons and ligaments, leading to far fewer injuries on the field. Originally presented as a live event at the prestigious Andrews Institute in Gulf Breeze, Florida, “Injuries in Football: Performance and Return to Play” presents up to date information, resources and techniques for proper strength and conditioning to reduce sports injuries and accelerate rehabilitation. This guide combines the professional knowledge of many preeminent sport medicine physicians, including Ryan Donahue, PT, DPT, CSCS and John Andino, DPT, ATC. This extensive guide focuses on the importance of nutrition and the importance of educating athletes to eat right and form healthy habits. There are easy rules to follow and they are applicable to any athlete. The course also dives into the categories of Pre-Participation Screening and the Functional Movement Screen among other tests. Reliability and validity are discussed as well as the predictive injury capability of the screens. Lastly, the transition between rehabilitation end point and sports training beginnings are discussed and the need to bridge the gap between rehabilitation and strength training before an athlete is ready to return to play. This Seminar-On-Demand is 2 hours in length (check your state’s approval status in the state specific course catalog for your profession). The Functional Movement Screen: Where are we now? Pre-Participation Screening and Return to Sport Testing: What is best? When Does Rehabilitation End and Performance Training Begin? This course is intended to instruct the professional on performance and return to play for athletes. Identify effective, time efficient, strategies, and risk factors involved in Pre-Participation Screening and why it is significant to an athletes career. Recognize the healing processes, inflammatory responses, and the connection between rehabilitation and performance training. Please see "Approvals" tab for actual awarded contact hours for state and licensure. Target Audience: Athletic Trainers, Physical Therapists, Physical Therapist Assistants, Certified Strength and Conditioning Specialists. Financial - This course is created in conjunction with The Andrews Institute. The Andrews Institute receives royalty payments from HomeCEUConnection.com for the presentation of this course. Nonfinancial - No relevant nonfinancial relationships exist. Andrew Paul, SPT, M. Ed., C.S.C.S., S.C.C.C., F.M.S. Andrew is currently working with EXOS at the Andrew’s Institute. 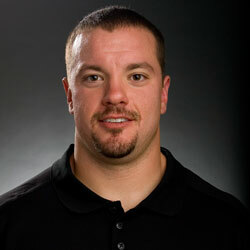 Before working at AI, Andrew obtained his Doctorate of Physical Therapy from the University of Missouri. Formerly, Andrew obtained his Master of Science in Health Education and Promotion where he served as the assistant director of strength and conditioning for the University of Missouri. During his collegiate career, Andrew participated in a variety of sports include lacrosse, football, and baseball. He also competed in Olympic weight lifting at the national level. Because of his background, Andrew is able to use his exemplary complement of education and experience to best serve the athletes he works with. Currently, Bob works as a Performance Nutritionist for Athletes’ Performance in Pensacola, Florida, on the campus of the Andrew’s Institute. During his tenure at Athletes’ Performance, he has had the opportunity too coach, educate & motivate professional, collegiate, and high school athletes from a variety of sports, on 5 continents, through all aspects of performance nutrition. Prior to joining Athletes’ Performance, Bob worked as an assistant strength and conditioning coach at Texas A&M University where he also worked with a variety of athletes ranging from male football players to female equestrian riders. 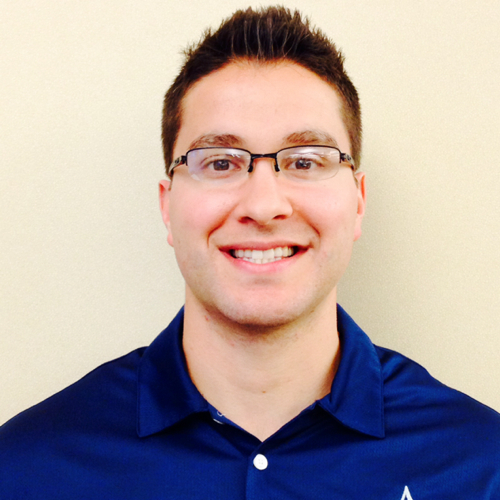 Hunter Stark, DPT, is a physical therapist at the Andrews Institute’s rehabilitation center. He is an active speaker at the Andrew Institute’s annual Injuries in Football Conference as well as Sports Medicine Fellowship conference where he reinforces the importance of rehabilitation of shoulder injuries. Prior to joining the team at the Andrews Institute, Stark was a staff physical therapist at Mississippi Sports Medicine and Orthopaedic Center, Jackson, MS, and Baptist Health Systems, Jackson, MS. He graduated from Mississippi State University where he earned his Bachelors in Biological Sciences, completed his masters and Doctoral programs in Physical Therapy at the University of MS Medical Center. He is a licensed physical therapist in the state of Florida. Jonathan received most recently his Doctorate of Physical Therapy and also his Bachelor of Science in Athletic Training from the University of Pittsburgh. Included in his experience, Jonathan has worked within the NFL alongside the Miami Dolphins and the Pittsburgh Steelers. Jonathan has excelled in his practice by continually pushing the limits of his field through his dedication and pursuit for excellence. Dr. Joshua Hackel, a sports medicine physician, specializes in the prevention, diagnosis, and conservative management of musculoskeletal injuries utilizing the latest medical techniques for anyone who is injured on the job or at home, a weekend warrior, professional, high school or recreational athlete. 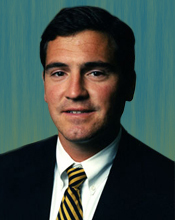 Following his residency in 2003 in Family Practice at Columbus Regional Medical Center in Columbus, GA, Dr. Hackel accepted a fellowship at the American Sports Medicine Institute (ASMI) in Primary Care Sports Medicine under the direction of orthopaedic surgeon Dr. James R. Andrews. Upon completion of the fellowship he was invited to become a member of the Andrews Orthopaedic & Sports Medicine Center in Gulf Breeze, FL. Dr. Hackel treats acute and chronic musculoskeletal injuries such as joint sprains, strains, knee, hip, elbow, foot, ankle and shoulder injuries, fractures and stress fractures, arthritis/degenerative joint disease, athletes with chronic or acute illnesses, and nutrition. Dr. Hackel has a multitude of team physician experience in many different sport and recreational arenas. These include team physician for the University of West Florida, Troy University football, Birmingham Barons baseball (AA affiliate of the Chicago White Sox), Birmingham Power of the WNBA, Arena Football's Birmingham Steeldogs, Southeastern Conference (SEC) women's basketball tournament, Mercedes Olympic Marathon, and the Medical Director for the Pensacola Marathon. Dr. Hackel practices in Gulf Breeze at the Andrews Orthopaedic & Sports Medicine Center and serves as an Associate Clinical Professor of Medicine at Florida State School of Medicine. 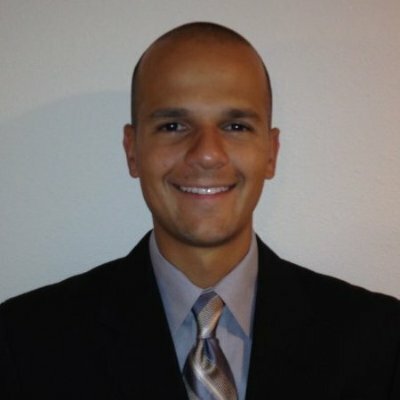 Ryan is a Physical Therapist at the Andrews Institute for Orthopaedics and Sports Medicine in Gulf Breeze, FL. Prior to AI, Ryan received his Doctorate in Physical Therapy from Northeastern University in 2012, while also serving as Assistant Director of Strength and Conditioning for NU’s Sports Performance department. In addition to NU, Ryan has held previous affiliations with Athletes’ Performance in a physical therapy role, as well as strength and conditioning affiliations with the University of Connecticut, University of North Carolina at Chapel Hill, and Mike Boyle Strength and Conditioning. Ryan’s sport concentrations include basketball, baseball, football, and powerlifting. He also received a Bachelor of Science in Exercise Science with a concentration in Strength and Conditioning from the University of Connecticut in 2008. A native of Andover, Massachusetts, Ryan currently resides in Gulf Breeze, FL. He is a licensed Physical Therapist through the American Physical Therapy Association, as well as a Certified Strength and Conditioning Specialist (CSCS) through the National Strength and Conditioning Association.